Ashness Bridge and Surprise View, two of the most picturesque locations in the Lake District. 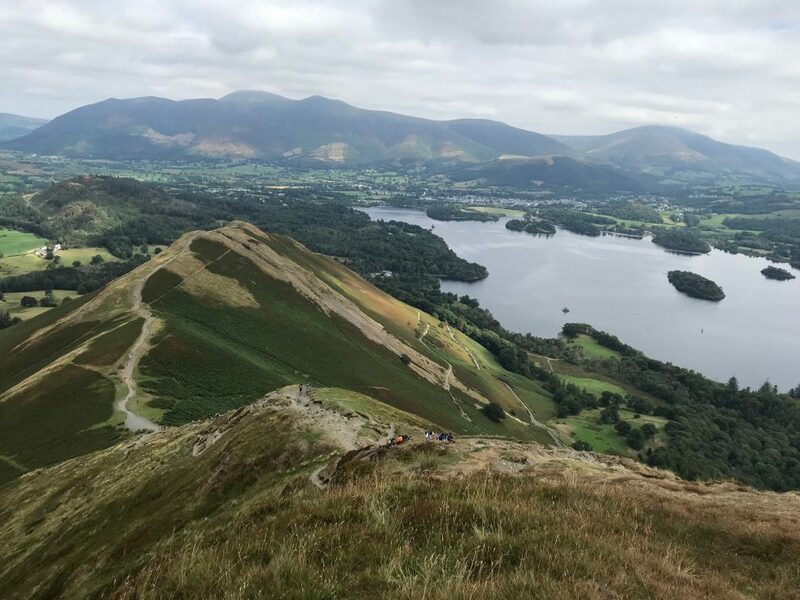 Located just a few miles from the popular town of Keswick, these two locations are perhaps the two most photographed in the area, with spectacular views over Derwent Water and the surrounding fells. If you are in the Derwent Water / Keswick area then a visit to Ashness Bridge and Surprise View is highly recommended. 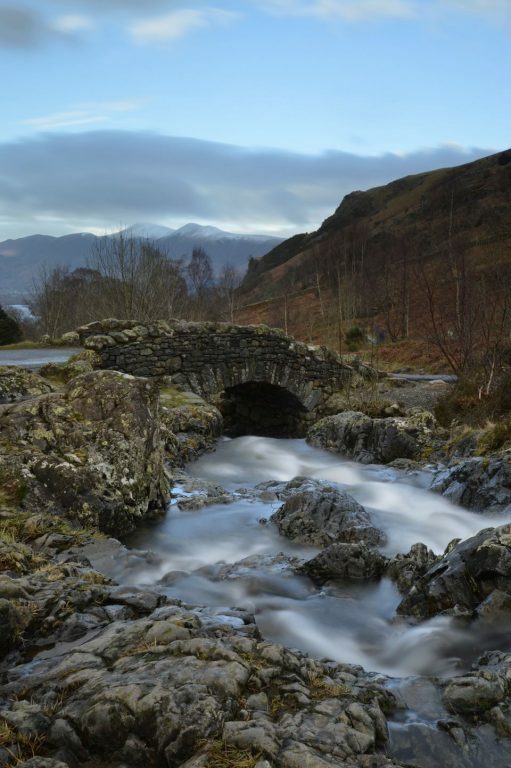 Ashness Bridge is possibly the most photographed bridge in the Lake District. This beautiful packhorse bridge crosses Barrow Beck which flows in to Derwent Water on its eastern side a couple of miles from Keswick. Ashness Bridge can be reached by either walking around the edge of Derwent Water from Keswick or by parking in one the small car parks above or below the bridge. 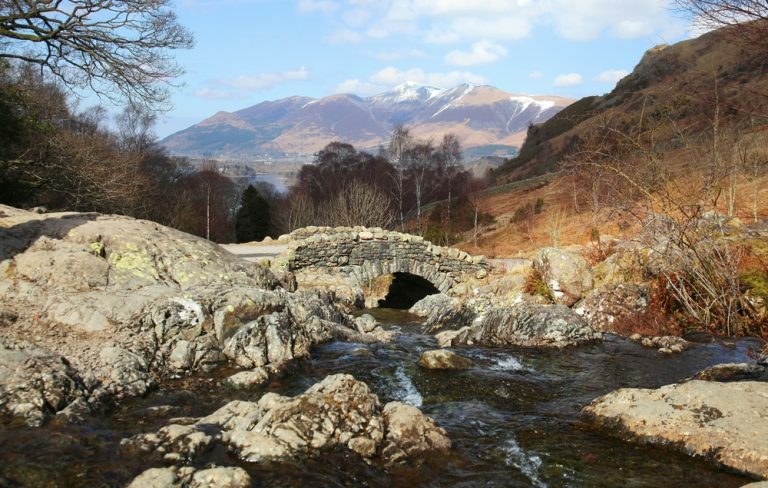 Ashness Bridge can also be visited on one of several walks including the spectacular Walla Crag trail and from the secluded Watendlath Tarn. Ashness Bridge can be very busy at times, especially at weekends and during peak season, so we highly recommend arriving early in the morning or enjoying a late evening stroll from Derwent Water. Whenever you visit you are guaranteed a wonderful photo which truly captures the beauty of the Lake District. 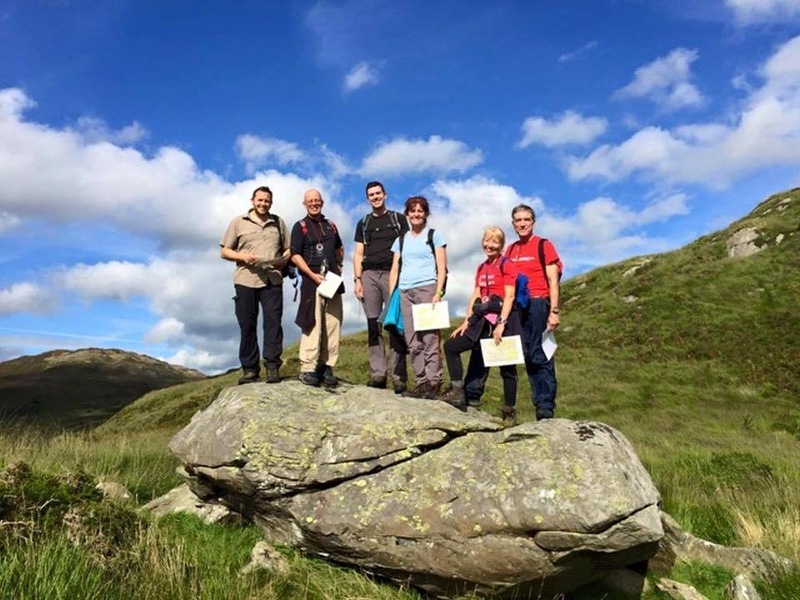 Continue along the road for around 600m (heading south) and enjoy one of the best views in the Lake District. 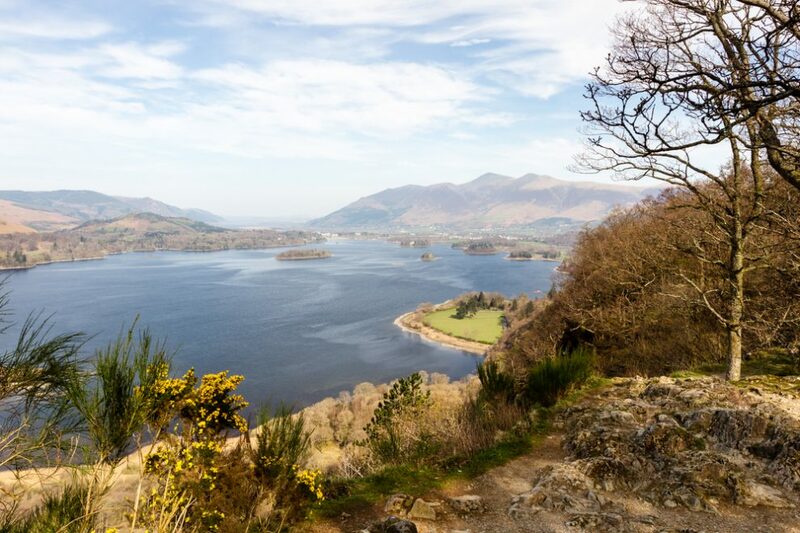 Surprise View is an absolute gem and offers stunning panoramic views across Derwent Water to the Skiddaw range, Borrowdale, Keswick, Bassenthwaite, the Solway and even the distant shores of Scotland (on a good day). For a longer day then continue along the road and join the Watendlath Beck path all the way to the tranquil and remote Watendlath Tarn. A tea room offers welcome refreshments (cash only) before retracing your route back to Derwent Water and Ashness Bridge. Enter your details below and find out more about us, what we do and the events we run. We are always adding new dates, walks and courses so we can let you know what is coming up and what’s new too. Late availability places are also sent out to our subscribers so if you have missed out on a place then we can let you know if one becomes available.